Poet, playwright, educator, activist, co-founder Detroit Artists Workshop, and Winner of the 2011 Kresge Eminent Artist Award. The magnetism of New York City’s fast-paced literary and music scene in the mid-1980s lured him for a time to Manhattan where he pursued his passions as an aspiring poet, playwright, and novelist. Harris found a fertile ground for his playwriting at the New Federal Theatre, a neighborhood-based professional production company founded by Woodie King Jr. to showcase theatrical works written, performed, and directed by minority artists. He also quenched his lifelong thirst for jazz and blues by becoming production coordinator for Jazzmobile Inc., a jazz production and music education organization that has featured performances by John Coltrane, Dizzy Gillespie, Cecil Taylor, and other jazz greats in years past. Two of Harris’s plays – Stories About the Old Days, starring jazz singer Abbey Lincoln, and Every Goodbye Ain’t Gone, with Denzel Washington and S. Epatha Merkerson – premiered at the New Federal Theatre. Two others – Queen of Sheba and Boo! A Musical Fantasy – had their debuts at the St. Louis Black Repertory Company. An excerpt from Coda, a full-length drama with music, written with the assistance of a Guggenheim Foundation Award, was presented on Bravo, the Canadian cable network. 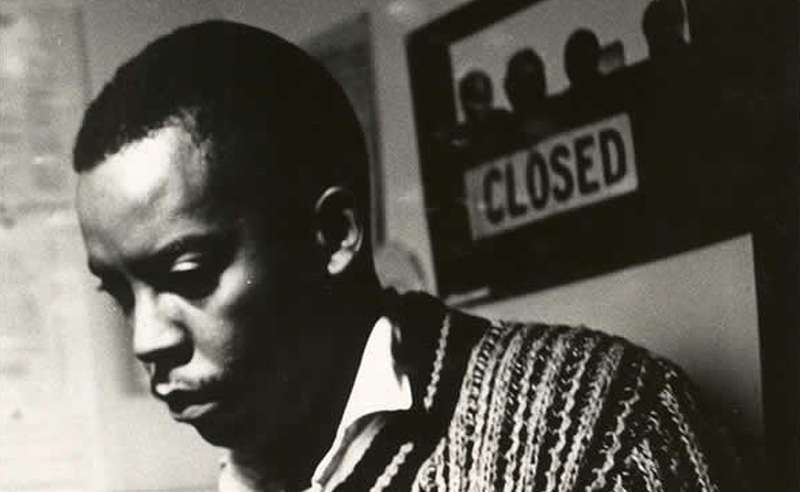 Another play, Robert Johnson: Trick the Devil, aired on the Public Broadcasting Service and was awarded the 1997 Silver Medal for Drama by the International Radio Programming Festival. In all, Harris’ plays have had more than 70 productions nationwide. His latest play, Cool Blues, will receive its premiere production March 10 through April 3, 2011, at the New Federal Theatre in New York. Harris’ ability to engage different layers of culture and to wrap the written word around life’s complexities is evident from his books of poetry and prose. His first poetry collection, Yardbird Suite, Side One: 1920-1940 is a biopoem, as he calls it, containing “fictionalized accounts of events, real and imagined” in the life of jazz musician Charles “Yardbird” Parker. It won the 1997 Naomi Long Madgett Poetry Award. A second book, Ringmaster’s Array, features poems honoring visual and musical artists. Harris’ newest and boldest release, with its meandering title, Birth of a Notion Or The Half Ain’t Never Been Told: A Narrative Account with Entertaining Passages of the State of Minstrelsy & of America & the True Relation Thereof (From the Ha Ha Dark Side), confronts contemporary stereotypes and prejudices by looking at their roots in early American history. It has been lauded as “profound, subtle, hilarious, and deadly serious” by contemporary author Kofi Natambu and as a “hard-hitting” book that “knocks the ball all the way out of the park” by Al Young, poet laureate emeritus of California. In addition to producing an impressive body of published work, Harris has instilled an appreciation for the literary arts and a mastery of creative writing in students attending Wayne State University and Detroit’s public schools. Over the course of his teaching career, he has nurtured many aspiring poets, playwrights, and novelists. Harris, who is a featured artist in Wayne State University Press’ Made in Michigan Writers Series, has given poetry readings and participated in writing workshops around the city of Detroit. He also has served as a visiting writer at Haystack Mountain School of Crafts’ summer workshop in Deer Isle, Maine. The foundation has published a monograph to commemorate Bill Harris’ work and distribute it this fall to organizations, institutions, and libraries in the region. The Kresge Eminent Artist Award recognizes an exceptional artist in the visual, performing, or literary arts for his or her professional achievements and contributions to the cultural community, and encourages that individual’s pursuit of a chosen art form as well as an ongoing commitment to Metropolitan Detroit. The award is unrestricted and is given annually to one artist who has lived and worked in Wayne, Oakland, and/or Macomb counties for a significant number of years.